One of the great things about living in London is the fact glossy Linux magazines are so cheap. These magazines are published in the UK and sell in stores for about 6 Quid. The same magazine in the US is $15+ due to the exchange rate and shipping costs. I buy one every chance I get. 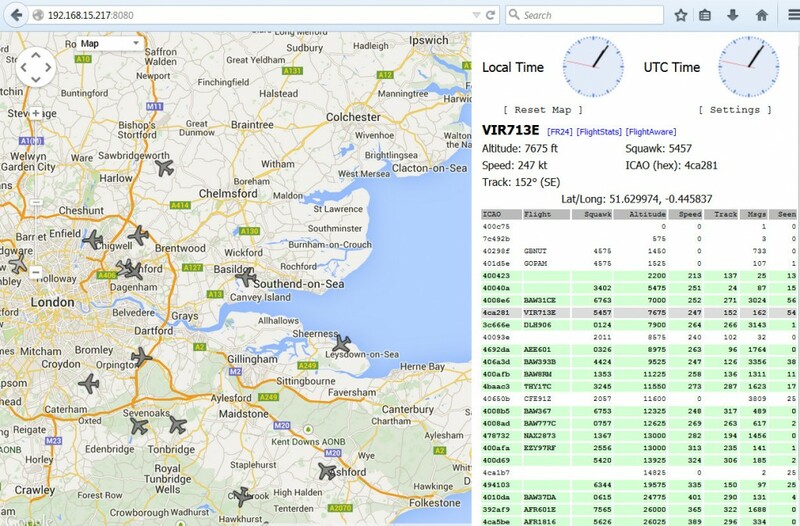 I came across a very interesting article in the December 2014 issue of Linux Magazine titled, “Plane Spotting.” Written by Charly Kuhnast, the one-page article describes how to use a USB DVB-T device to capture airplane traffic and plot it on a Google map. What a cool idea! Ol’ Sopwith decided to purchase a DVB-T and see if it would work on the Raspberry Pi.